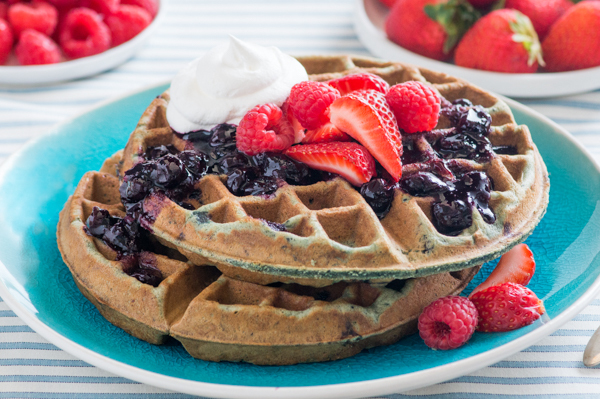 With spring just around the corner, it’s time to up your brunch game. Mother’s Day, graduation parties, and Father’s Day are all prime brunch opportunities, and today I’m sharing a few of my favorite brunch entertaining tips to keep your gatherings easy, breezy and fun. One of my favorite ways to entertain, especially as the weather is warming up, is to offer a Deluxe Toast Station. To create an epic toast spread, start with a fabulous toaster like the KitchenAid® 2-Slice Toaster. 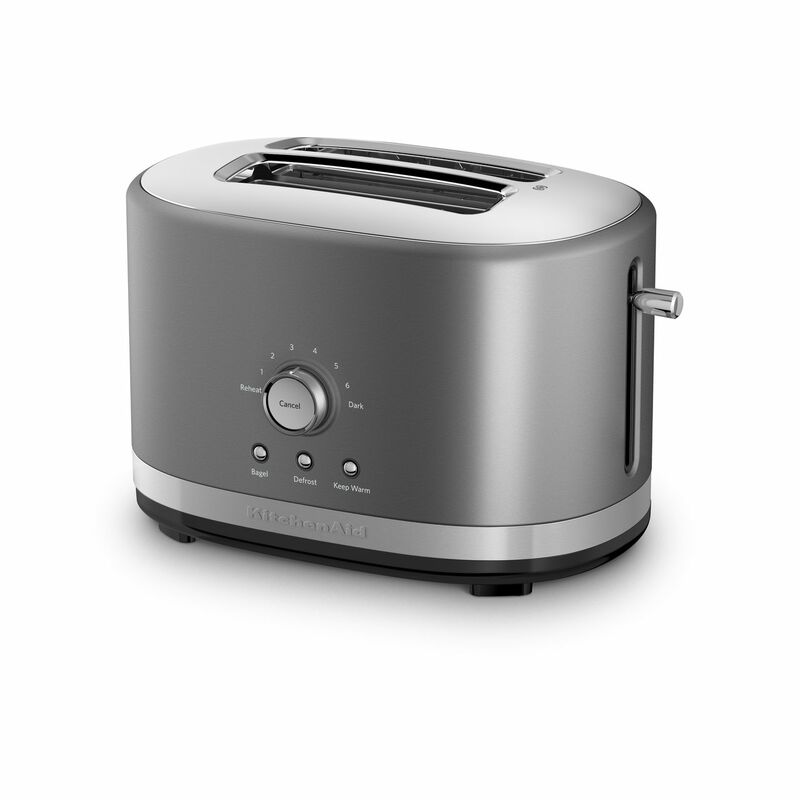 This Toaster is not only gorgeous, but it has 7 shade settings including bagel, defrost, reheat, and keep warm. Provide your guests with a selection of both bread and bagels for them to choose from. To go with the breads and bagels, I like to set out a variety of spreads like European butter, cream cheese, nut butter, and a few different jam flavors. When it comes to toast toppings, the sky is the limit: strawberries, kiwis, blood oranges, avocado, and hard boiled eggs are some of my favorites. 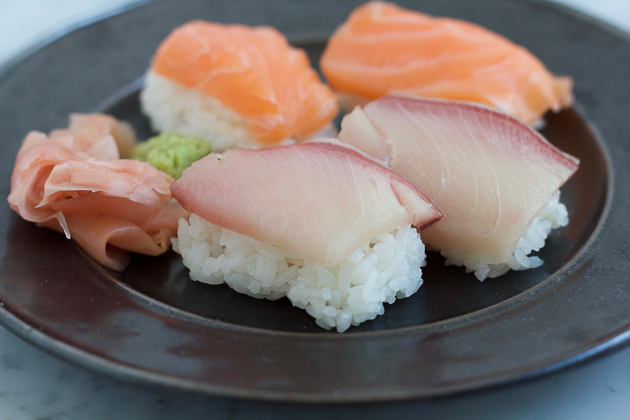 Pre-slice all of the ingredients and arrange them with small forks for easy choosing. If you are looking for more main course toppings, try setting out sliced ham, turkey, and smoked salmon to really enhance the spread. Brunch is not complete without some incredible coffee. Have a coffee pot ready-to-brew when your guests arrive. 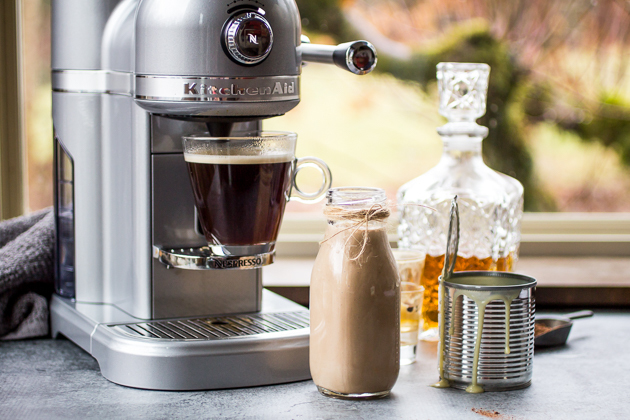 With the KitchenAid® 12-Cup Coffee Maker, you can add freshly-ground coffee, fill the reservoir, and program it to brew at just the right time. Having a small party? 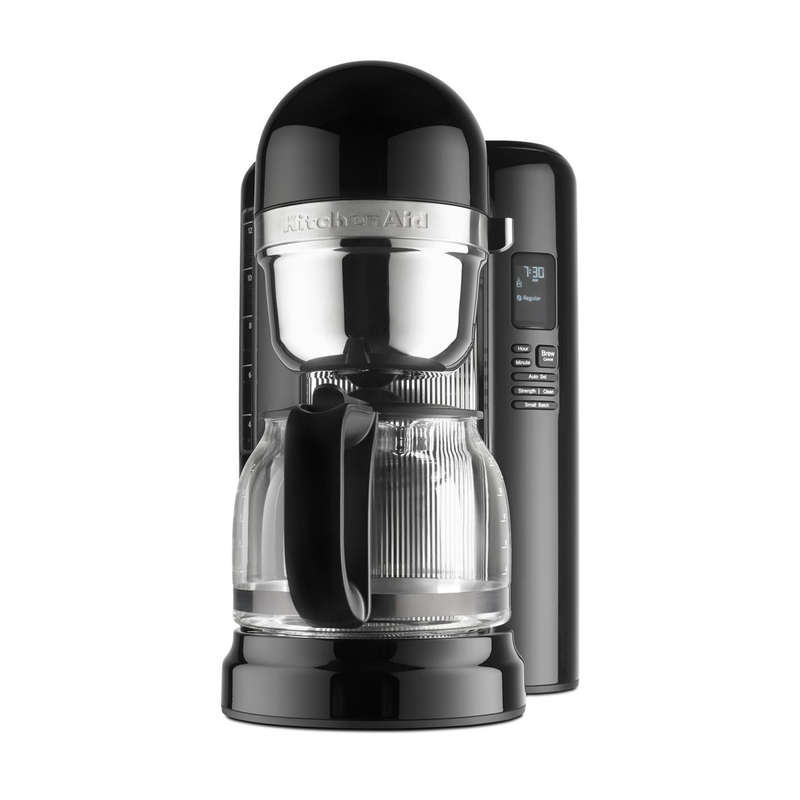 This coffee pot can adjust the water temperature and coffee saturation time to a small pot of coffee to ensure a pure, rich-tasting cup every time. While coffee is always a hit with guests, having a lovely hot tea station will knock their socks off. 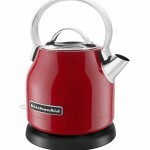 KitchenAid has several options of kettles depending on your tea wants and entertaining location. If you’re hosting your brunch buffet in your kitchen, you’ll want to offer a selection of lovely tea bags on a pretty tray or brew a full pot of loose tea in the KitchenAid® Glass Tea Kettle. 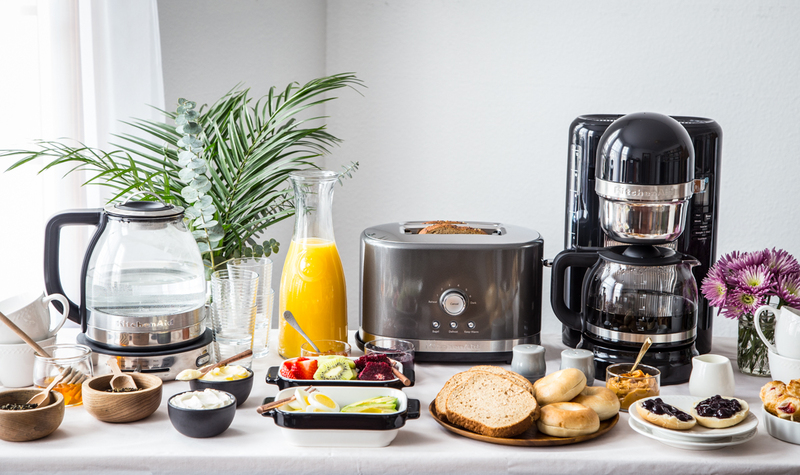 An electric kettle can be positioned on a buffet too. 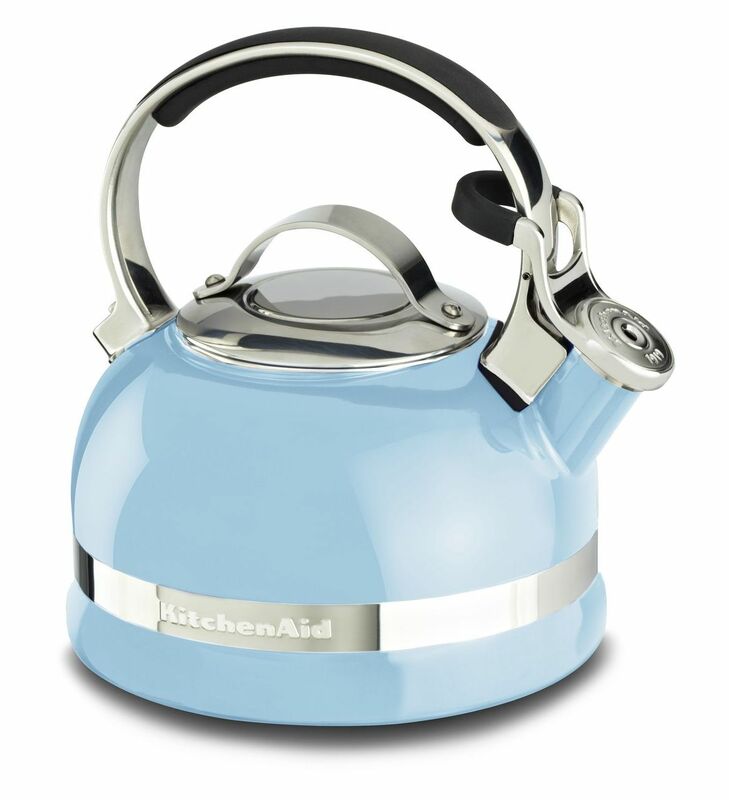 If the buffet is located in the kitchen, KitchenAid has several classic stovetop tea kettles, like the KitchenAid® 2.0-Quart Kettle, that are perfect for in-kitchen serving. 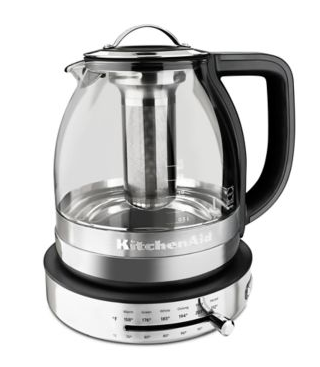 If you are at a buffet in the dining room or elsewhere in the house, try one of KitchenAid electric kettles like the KitchenAid® 1.25L Electric Kettle. Provide your party goers with a selection of tea bags and some honey to sweeten their cups. If you have a group of true tea connoisseurs over, the Glass Tea Kettle is the way to go! The kettle itself is gorgeous with glass and stainless steel design and features 5 temperature presets perfect for different types of tea, such as green, oolong, and black. The Glass Tea Kettle also has an optional infusing basket for brewing whole pots of loose tea. This added touch is sure to make your guests feel extra special. With the toast, coffee, and tea settled, our brunch menu only needs a few more items to be completely rounded out. A variety of pastries and muffins can be baked the night before your brunch or even picked up from your favorite bakery to add a bit of sweetness to the menu. Serve some orange juice in a lovely carafe with some cute juice glasses and the brunch menu is complete! Next time you’re planning a get together, remember these easy, breezy brunch entertaining tips that take the help from the fabulous line of KitchenAid tea kettles, toasters, and coffee makers.